Well, this is one messed up poster. 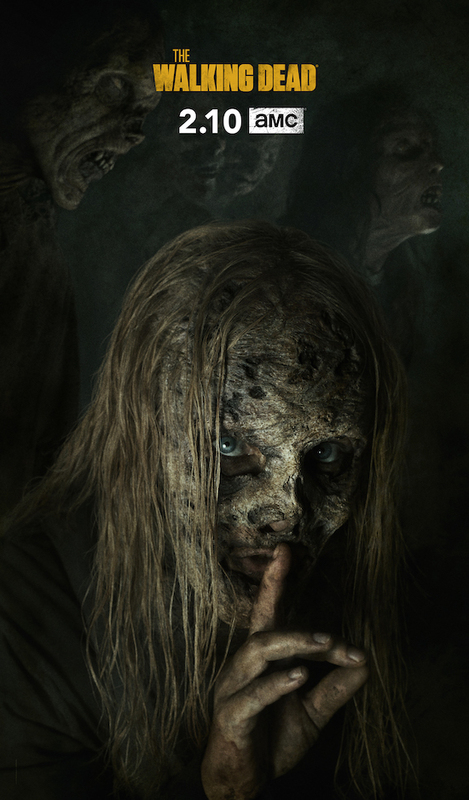 THE WALKING DEAD’s ninth season returns on Sunday, February 10 at 9/8c, and the new key art showcases The Whisperers leader, Alpha (Samantha Morton). THE WALKING DEAD season 9 just wrapped the first part of its season (which included a couple of huge goodbyes, plus character deaths), but the second block of episodes is just around the corner. 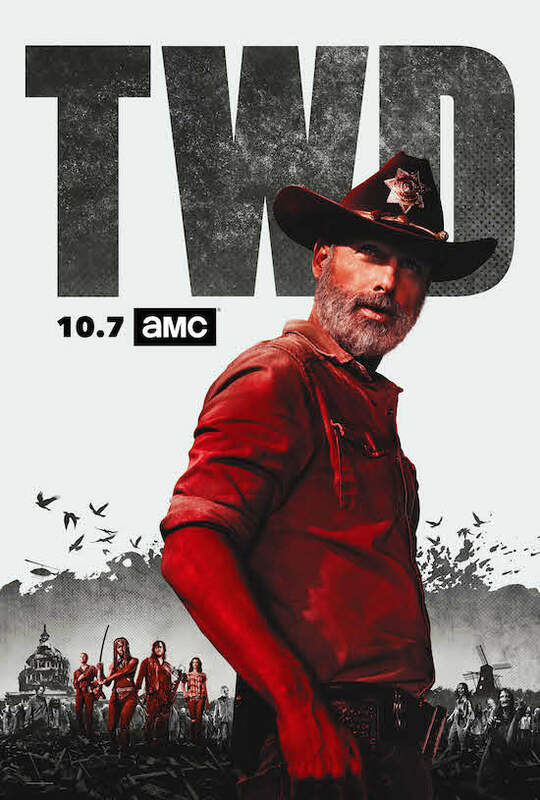 AMC released THE WALKING DEAD season 9 premiere photos in August, but now it’s time for blood red key art and (gorgeous) cast shots. And this is the official description of the upcoming season: “Last season brought the culmination of “All Out War,” which pitted Rick Grimes and his group of survivors against the Saviors and their cunning leader, Negan. With Negan’s life in his hands, Rick had a character-defining choice in front of him. By making the unilateral decision to spare Negan, Rick upheld the values his late son, Carl, championed in order to build for the future, but created conflict within his group. 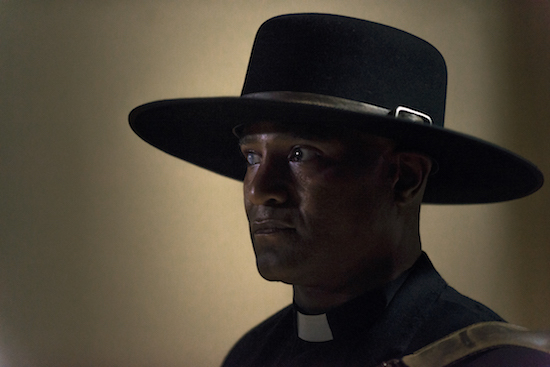 THE WALKING DEAD is undergoing a number of big changes as it heads into its ninth season. But before they depart, there’s still mayhem (and zombies) ahead. 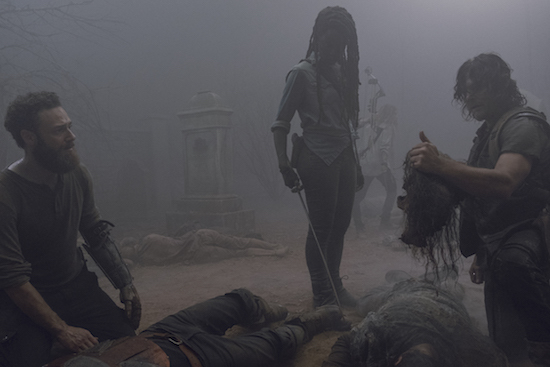 Check out some THE WALKING DEAD season 9 premiere photos!